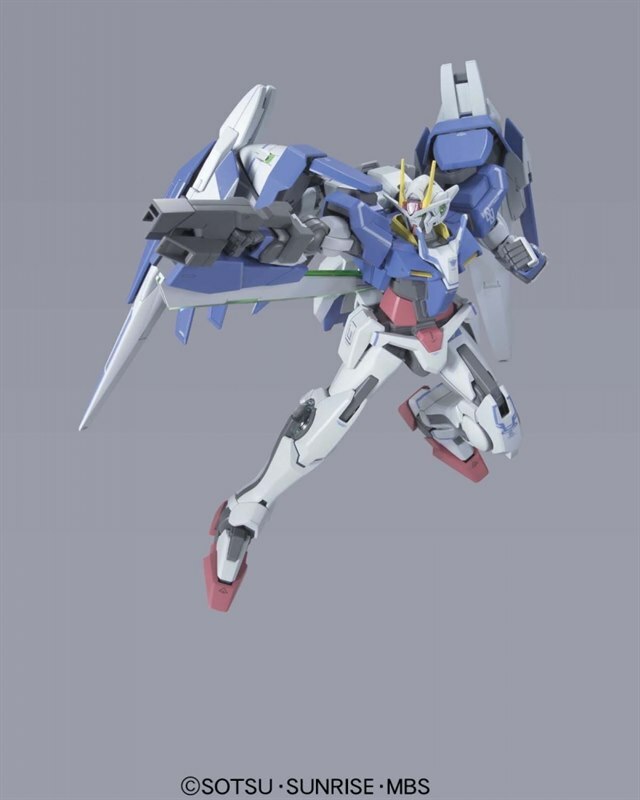 1/100 Gundam 00 Raiser Designer Color Ver. 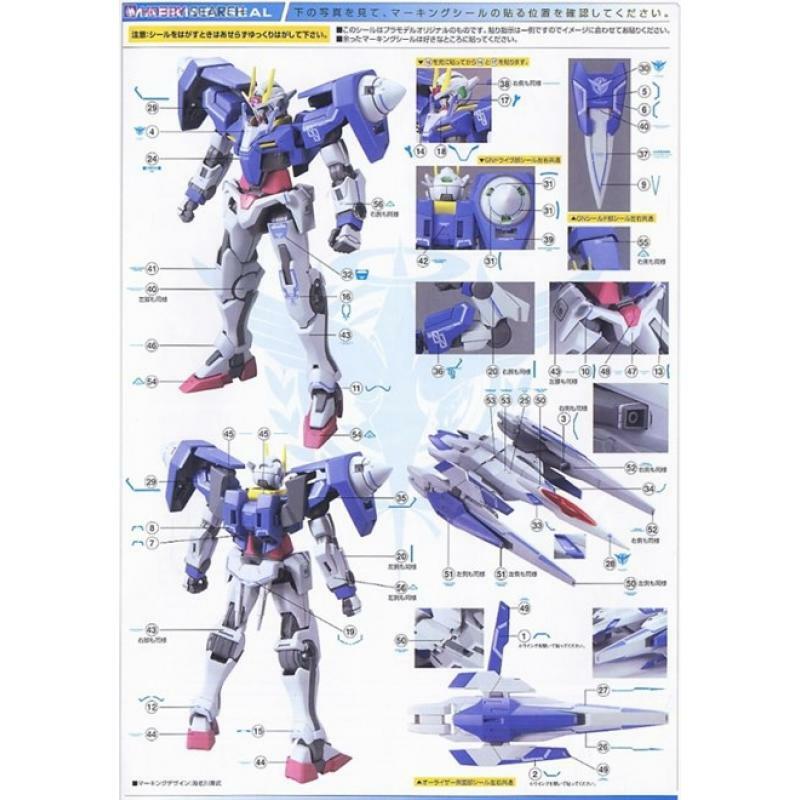 Not just a recolor of the 2008 1/100 GN-0000 + GNR-010 00 Raiser Special Set, this excellent release offers a third light-up LED for the Mobile Suit's head, a brand new weapon, and all parts come molded in the same light-toned color scheme as mecha designer Kanetake Ebikawa's concept illustration of 00 Raiser! 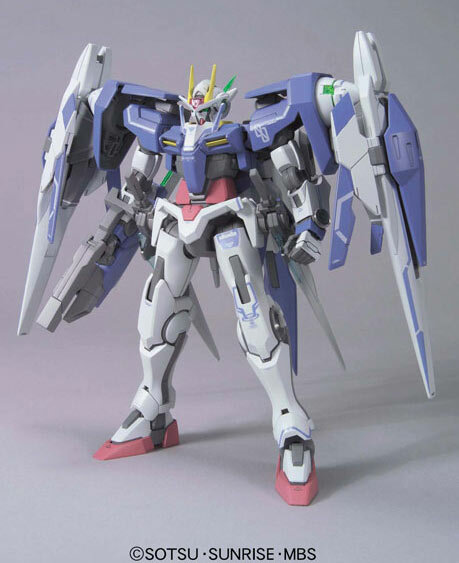 Upon completion, the star Mobile Suit from the second season of "Gundam 00" will feature not only polycap-jointed limbs, but also a flexible Twin Drive System (GN Drives on each shoulder) with light-up LEDs, plus another LED in its head that lights up the camera eyes and lens! 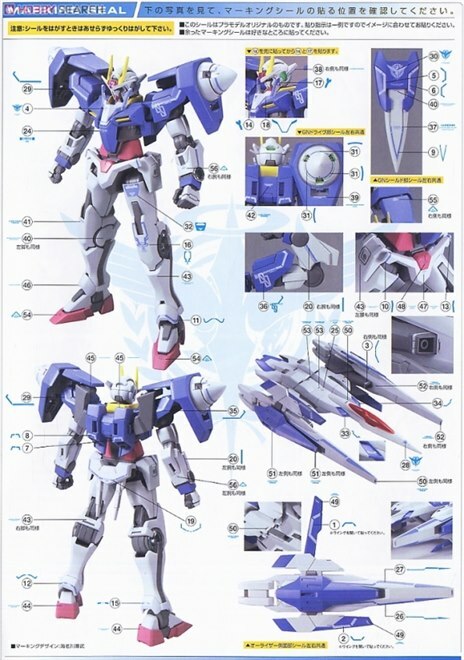 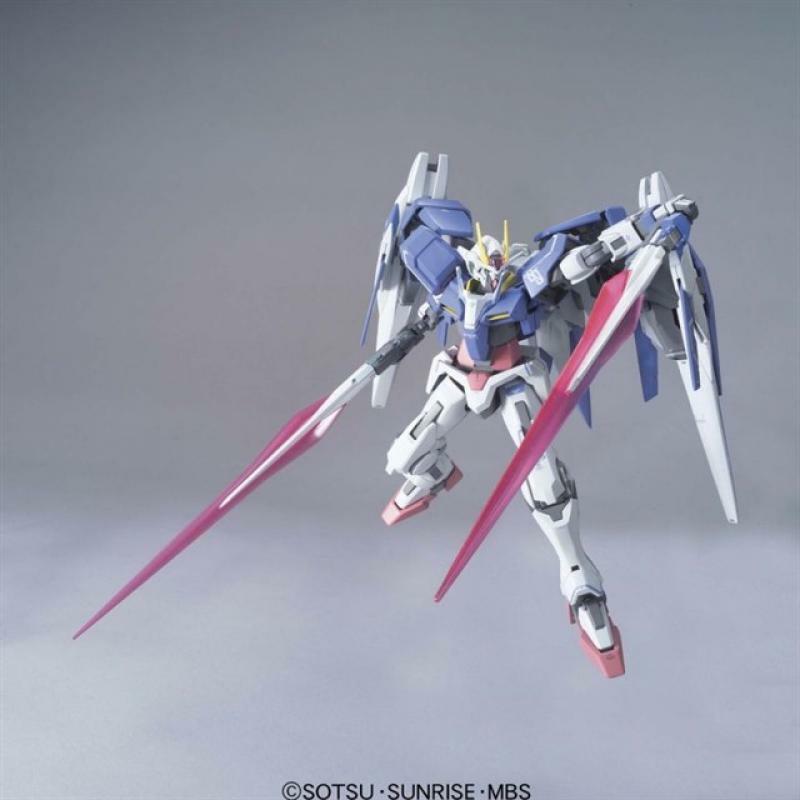 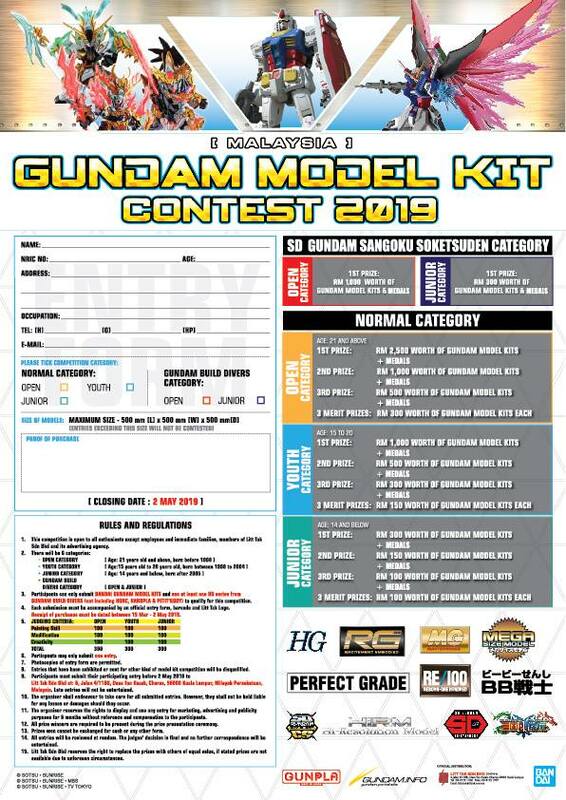 Setsuna's personal Mobile Suit can be equipped with the included pair of GN Sword IIs that switch from Sword to Rifle Mode, a pair of GN Beam Sabers, and two GN Shield IIs. 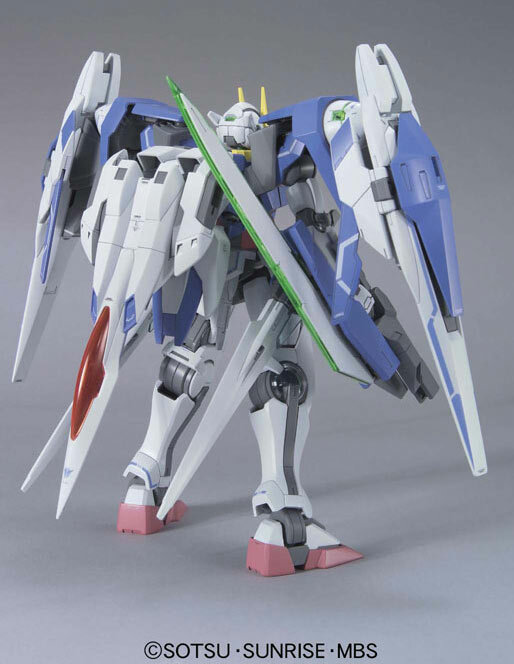 In addition to that, the GN Sword III seen used in the show's final battle is also provided. 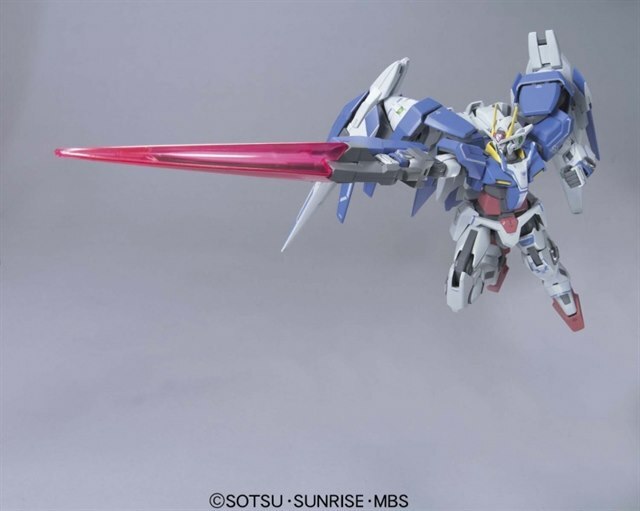 The powerful weapon can switch between its GN Sword and GN Rifle modes, plus a beam effect part is included for realizing its destructive Raiser Sword mode! 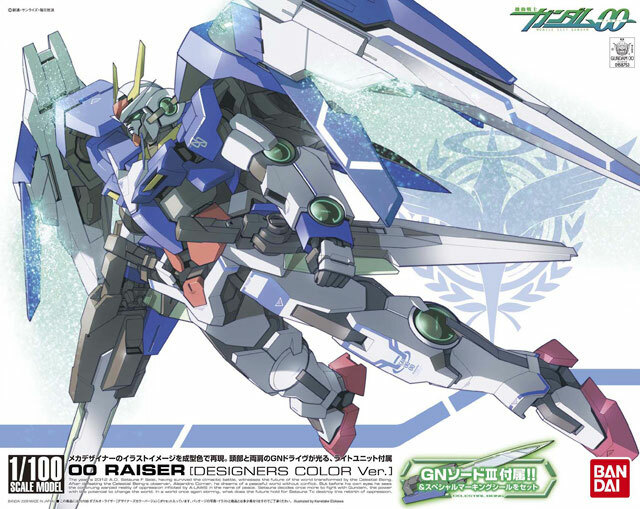 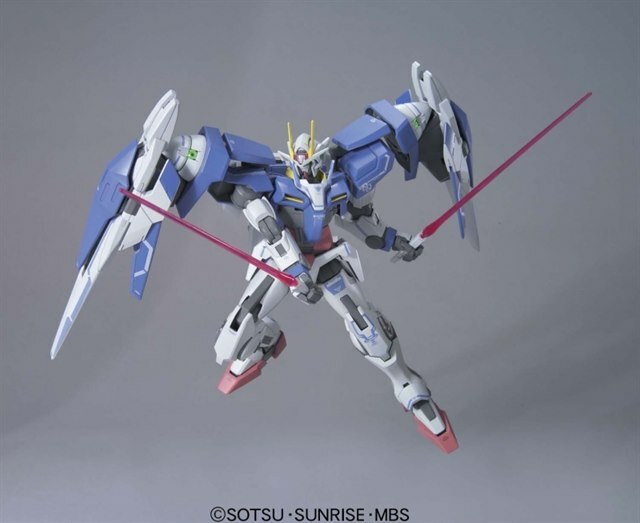 Combine 0 Raiser with 00 Gundam by folding down its main nozzle, separating its Side Binders and attaching them to the Mobile Suit's GN Drives, and then connecting the spacecraft to the back of the mecha to complete the powered-up 00 Raiser! 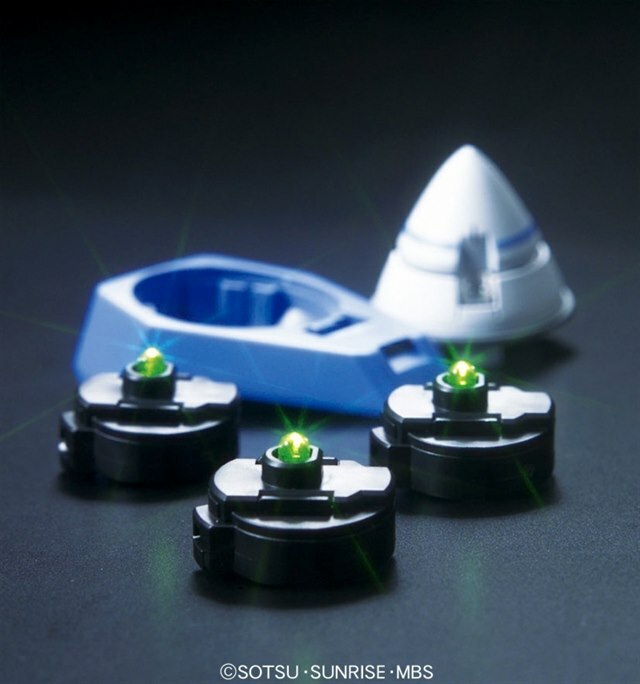 Three LED button light are included without batteries.